Tour Dallas like a Celebrity. Are you in the midst of planning a night out on the town in a limo rental with your friends are in need of a party bus in Dallas TX or Fort Worth TX? Are you hoping to have an amazing night out for a bachelorette, bachelor or birthday party where the party is continuous, even when you're traveling to and from your venue for that special occasion? 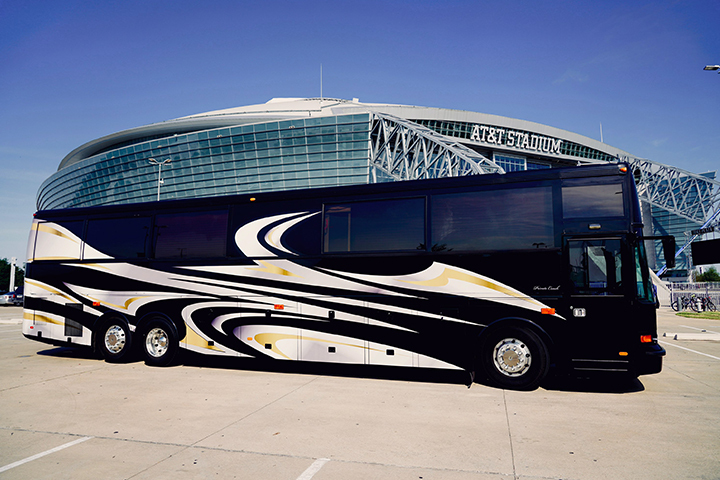 If the answer to these questions was yes, than there is no reason for you to be overlooking Dallas VIP, the best party bus and limo bus service in dallas and the surrounding areas. With one phone call, you can be one step closer to your luxurious party and on your way to planning the best night you'll ever have. 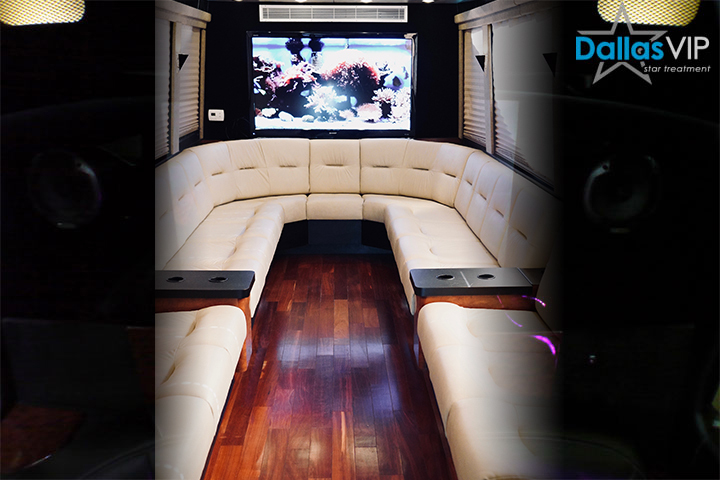 The ultimate party bus is the perfect alterntative compared to sprinter vans, luxury limos, luxury vehicles, or mercedes sprinters. What the party bus lacks in overall external flare it makes up in sheer entertainment and space. 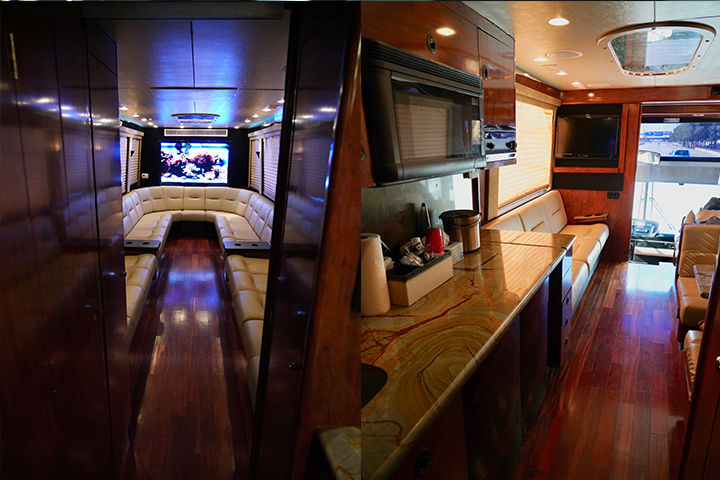 The inside of the party bus is as nice as any limousine in Dallas. 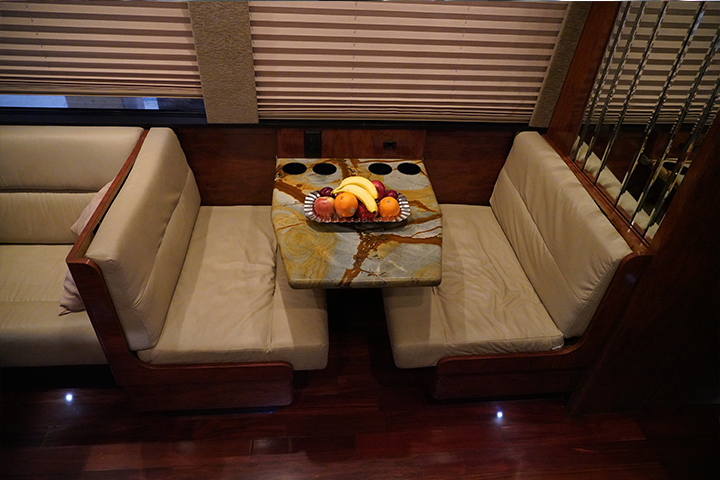 Outfitted with only the most comfortable of seating, the party bus can have a capacity of up to 30 individuals. You wouldn't want to lose entertainment value because you miscalculated the seating space you would need. To round off the mobile club experience, the interior of the party bus is illuminated in a soft glow of luminescent fluorescent lighting and has ice cold ac to keep you cool while you party. Your choice of radio or personalized MP3 playlist can be played through the vehicles surround sound audio system. As an added bonus to the more adventurous party goers, some party buses come equipped with an on-board dancing pole which is a hit with bachelorette parties. 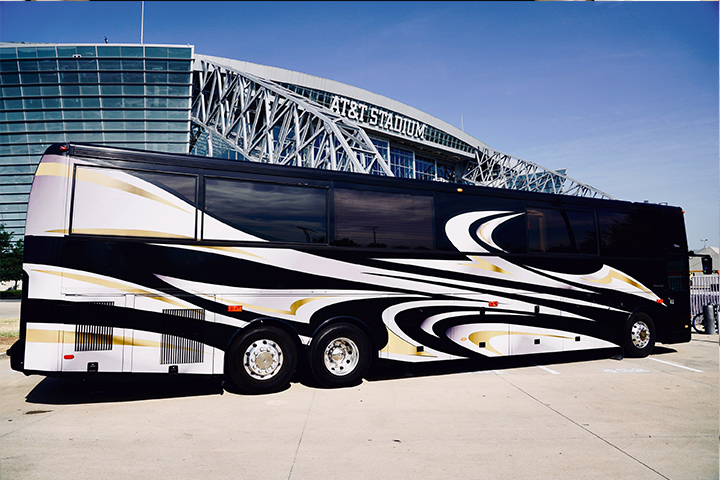 The next time you're planning a night out with a large group of friends and don't want to deal with the hassle of carpooling or arranging for cut-rate transportation, turn to Dallas VIP to arrange for one of their exquisite party buses or limo buses to transport you all over town. 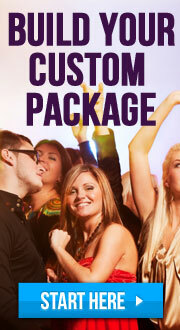 Reserve your DallasVIP party bus today by calling 972-432-7733. Rode a Ultimate Party Bus? Share your experience with others!